To announce spine-shivering “The Conjuring”, we showed the audience how frightening this new horror-thriller actually is in real life. We created haunting tv spots, youtube skippable ads, and a Facebook horror experience for Warner Bros Europe. This movie is a genre on it’s own and that’s what we wanted to show. Together with distributor Warner Bros Belgium we came up with an evil plan: we invited die hard horror fans for a secret early screening. They got heartrate monitors strapped on and were filmed with nightvision cameras. After the screening, they could testify about their experience in front of a camera. The result was great: even for die hard fans the tension became unbearable. Perfect material for a convincing tv spot! To skip or not to skip Some ad formats and Youtube are skippable, and most of them are indeed being skipped. So what can we do to keep people from clicking the skip button? Apart from the slow tension build-up, the sudden scare that makes you leap out of your chair is another trademark of the genre. So we built a facebook app that not only scares you, but also takes your picture at this awkward moment. 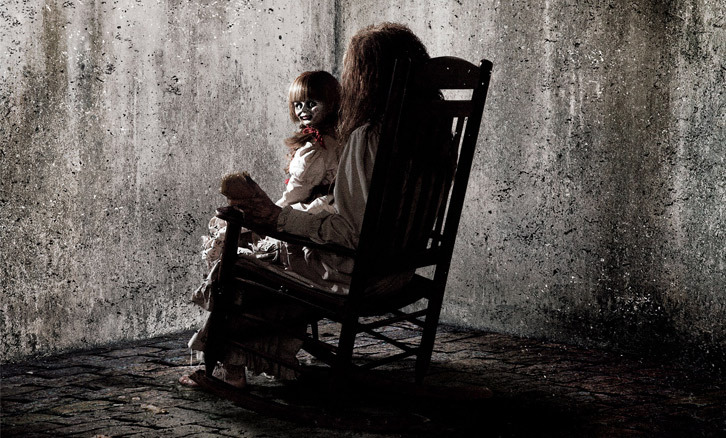 This allows you to share with the world how scary The Conjuring actually is. Both the underlying code and the design allow for easy localisation so the app can be deployed simultaneously in different markets. Check it out here!